Digitalization changes the way how we travel, how we get inspired for a trip or how we book it. According to a study by the German market research company Bitcom Research GmbH, in 10 years from now we will inspect and experience hotel rooms, destinations or attractions virtually before the actual travel. Virtual Reality will allow prospective travellers to get a more detailed impression beforehand, which will help them to distinguish one destination or hotel from another. 74% of 103 surveyed CEO’s of touristic companies share the opinion that by 2025 the usage of VR in tourism promotion will offer great opportunities not only for the prospective travellers but also for travel agencies and touristic companies. 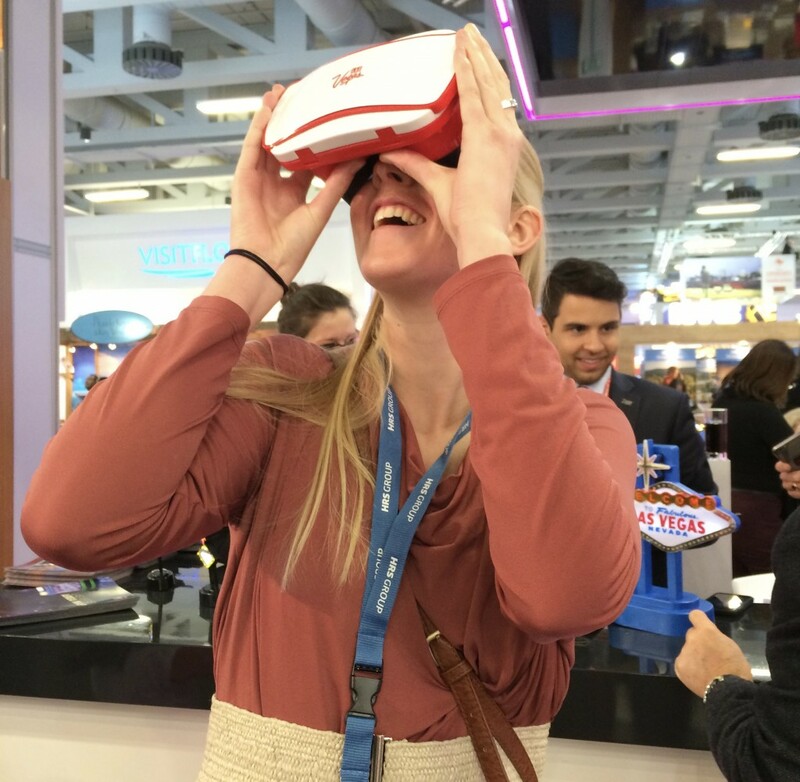 More and more touristic players are already discovering VR as a tool in promotion, as we were able to see at the ITB 2016 last week. Several destinations including for example British Columbia, Las Vegas, Austria, South Tyrol or Ireland as well as airlines such as Lufthansa, Emirates or Austrian Airlines provided the visitors with an immersive virtual experience. According to the exhibitors, the biggest advantage of VR as a tool in tourism promotion is seen in the possibility to give potential customers a better idea about an intangible product and to trigger emotions. As the virtual experience will arouse interest and desire to do the real thing, the exhibitors do not consider VR as a threat to the real experience. Stay tuned for more detailed information about VR at ITB! Also check out the post of Reinhard Lanner (Consultant, http://www.workersonthefield.com; former Head of Digital Media & Online Marketing, Salzburger Land Tourismus Gesellschaft) and his thoughts about this topic (available in German)!